Van-Life - The load bearer. Overcomes gravities. Makes light work of heavy loads. Designed for MPVs, minibuses and light trucks, the Van-Life carries a great deal of responsibility. And since these vehicles are often driven by people who primarily use a car, the similarity in performance to that of driving a car is a particularly important benefit. Moreover the tire's outstanding grip in bends, its optimum steering response and efficient water dispersion to combat the risk of aquaplaning are all characteristics which can be of vital importance. With a long service life thanks to the wide, flat belt contour, combined with even wear, this tire is a little economic miracle. The Semperit quality, provides maximum safety, even under tough conditions. High aquaplaning safety. Fits perfectly for example to Mercedes Sprinter, Fiat Ducato, Opel Movano. Wide, flat belt contour. 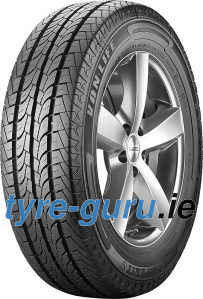 Lateral grooves that reach well into the centre of the tread, plus wide circumferential channels. Sturdy shoulder lugs and solid central ribs. Numerous lug edges. High aquaplaning safety. Wide grooves allow high water absorption and improved drainage from the tread pattern. Effect: Improved protection against aquaplaning. Safe braking performance even at high loads. Wide profile bands for improved road contact and increased power from the profile on the street. 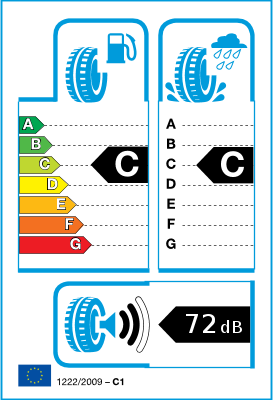 Effect: Shorter braking distances even at higher loads. Good steering response and cornering stability. Optimised, wedge-shaped arrangement of the profile blocks and profile strips guarantee directional stability, driving stability and good braking performance in all driving situations. Effect: Safe driving on straight and narrow winding road.